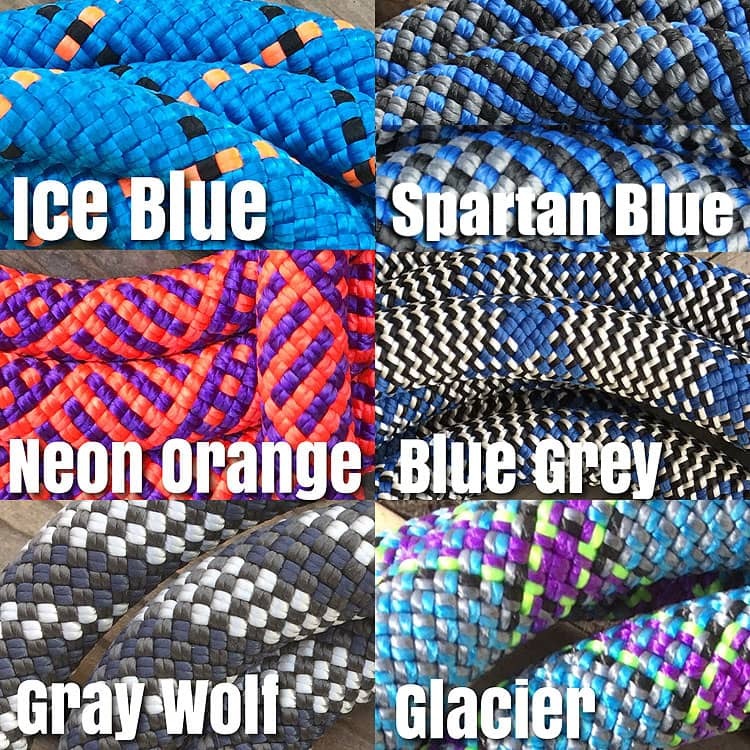 Pacific Blue Climbing Rope Dog Leash. 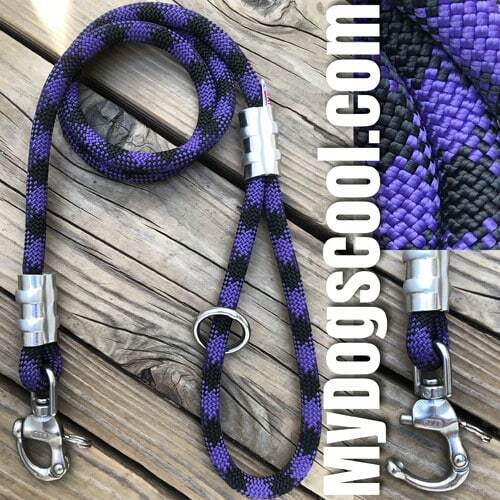 This custom dog leash is both strong, durable and has a cool style that shows with it’s unique pattern and combination of dark and light blue colors. This style dog leash is not often seen in pet stores and the assembly method is original to us. Designed for the Big Dogs, our custom leashes are built with 316 stainless steel clips. 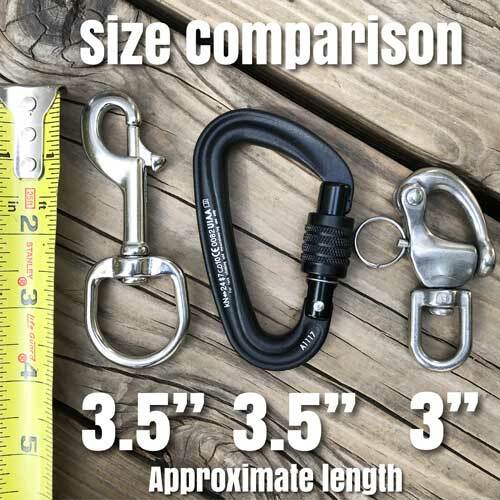 These are stronger than most other clips found on imported or lesser quality leashes. An optional forged aluminum locking carabiner is also available should your dog need the additional strength and safety. 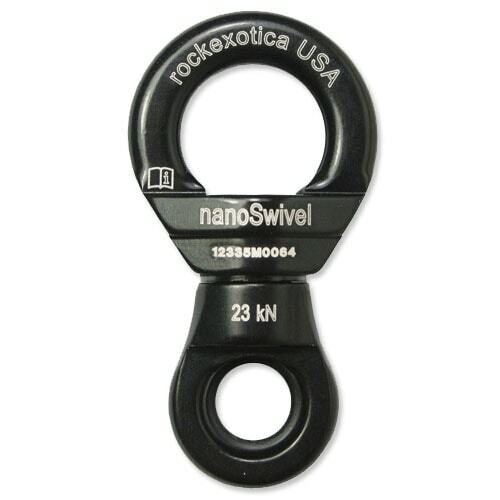 The ends of the dog leash are secured with customized aluminum sleeves for a permanent connection. 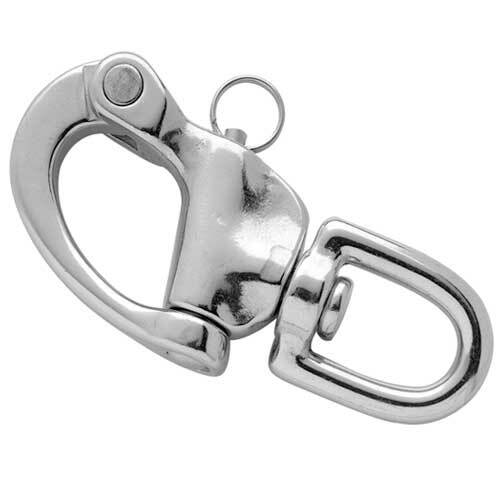 A one inch welded stainless steel ring is added to the leashes handle with multiple uses. A spare house key or small LED flash light are common. Like all of our climbing rope dog leashes this is made in the USA. If you should have questions or request for custom lengths please contact us. Amazing product, well crafted and it really does feel great in your hands. Much more control with this leash. Its durable and you know your dog will be safe. I'll be sure to purchase another in the future. Thanks! I recently Adopted a stray 9 month old Black Lab/German Shepherd mix, he is a very strong dog and the other leashes I had hurt my hands as he is still learning not to tug when on walks. But with this being made of climbing rope, I not only get a better grip, but when he tugs it's not nearly as bad. Not to mention it looks really great! 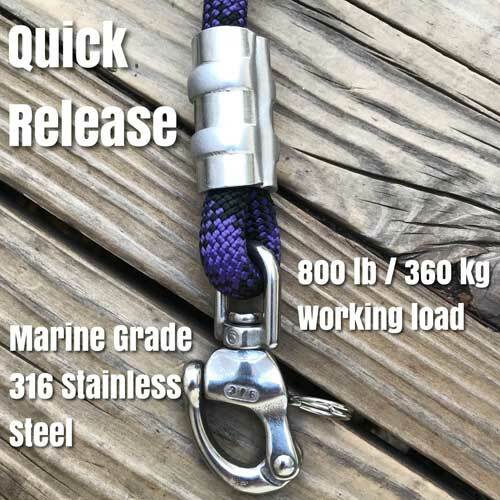 Great leash - really solid, sturdy and handsome construction. I feel like I have a secure hold on my Rottie during crowded city walks. Fast shipping - Thanks!